Bell & Ross has always declared its admiration for military aviation, even adopting it as the basis for its collections. As well as inspiration, Bell & Ross and the French Air Force also share the values of respect, integrity, service, and excellence. It is therefore natural for the brand to be associated with events affecting this important fighting force and particularly students of the École de l'Air. These students receive very advanced training in three fields: combat training, academic training combining science and humanities and aeronautical training. In the presence of Air Force Brigadier-General Gilles Modéré, head of the Salon-de-Provence Air Force Officers' School, Bell & Ross rewarded the valedictorian. Pilot Officer Nicolas Pourquier, from the École de l'Air's "Général de Marmier" class of 2010 was presented with a Bell & Ross Aviation BR 03 watch by Alexandra Teboul, Head of Products and Partnerships. 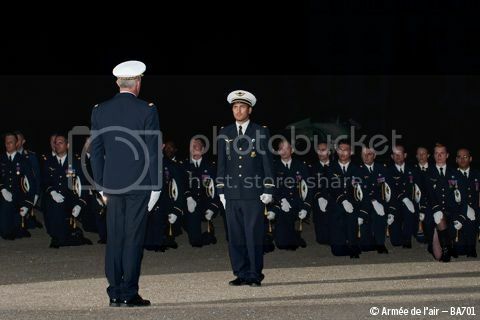 The traditional passing out ceremony took place at dusk. This famous event is the highlight of year for the officer cadets. 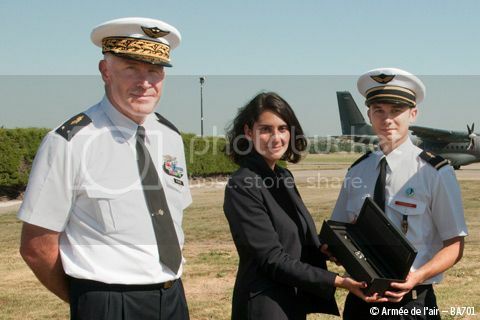 The Ecole de l'Air's first year officer cadets and cadets from the Ecole Militaire de l'Air are named after their respective mentors. The mentors of each year are officers who died on aerial duties or in combat, recognized for their moral qualities, their values or acts of courage. They represent the model to which each officer must aspire. They are examples for young officers. So under the high patronage of the Mister for Defense, Jean-Yves Le Drian, in the presence of the Air Force Chief of Staff, General Denis Mercier, the Air Force Head of Human Resources, Air Vice Marshal Claude Tafani, and Air Force Brigadier-General Gilles Modéré, commander of the Air Force Officers' School and 701 Air Base, the two classes of 2012 passed out in a traditional and immutable ceremony, and were named the "Colonel Roland de la Poype" class and the "Maryse Hilsz" class respectively. 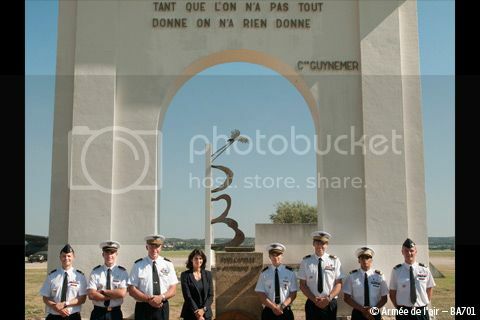 The ceremony, first held for the 1935 "Capitaine Guynemer" class and celebrated each year since, attended by a number of high-ranking officials, is an important event at which future officers of the French Air Force commit to fulfilling their vocation with honor and dignity, following in the footsteps of their mentors leading aviators whose devotion, acts of courage and remarkable human and military qualities will act as an example for the officer cadets. 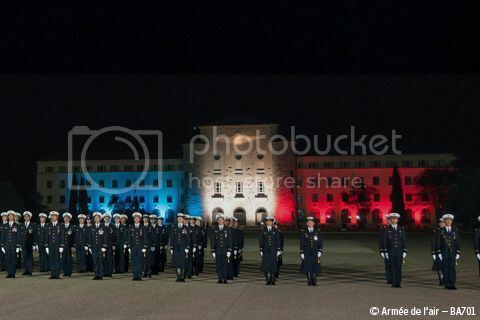 Since the École de l'Air and the École Militaire de l'Air were founded in Salon-de-Provence, this ceremony has traditionally taken place at night on the Place Pelletier d'Oisy, on the first Friday in July. It marks the solemn entry of the cadets into their career as officers and invites them to serve their country by following the example of their illustrious forebears. In a solemn atmosphere, to music played by the Air Force band, with a flyover by the French Acrobatic Patrol, the two graduating classes ceremonially exchanged their colors. 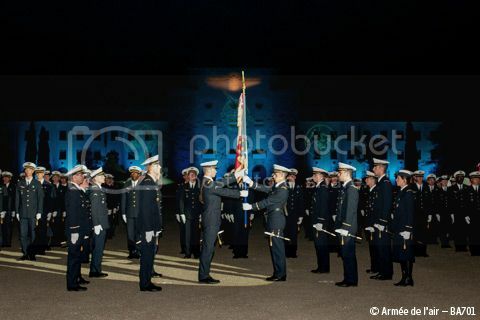 This involved transferring each school's flag to the incoming guards, made up of the newly graduated officer cadets. This military tradition has been carried out since 1937, when the "Capitaine Guynemer" class handed over the École de l'Air flag to the1936 "Capitaine Astier de Villatte" class. The flag of the École militaire de l'Air was first transferred on July 5th, 1963. Next Topic: 1st SoCal Bell & Ross GTG! #SoCalBRTeam!